4 out of 5 of the world’s largest semiconductor companies use Methodics and Helix Core. The combination of Methodics IP lifecycle management software with Helix Core makes designs more efficient, predictable, and higher quality. 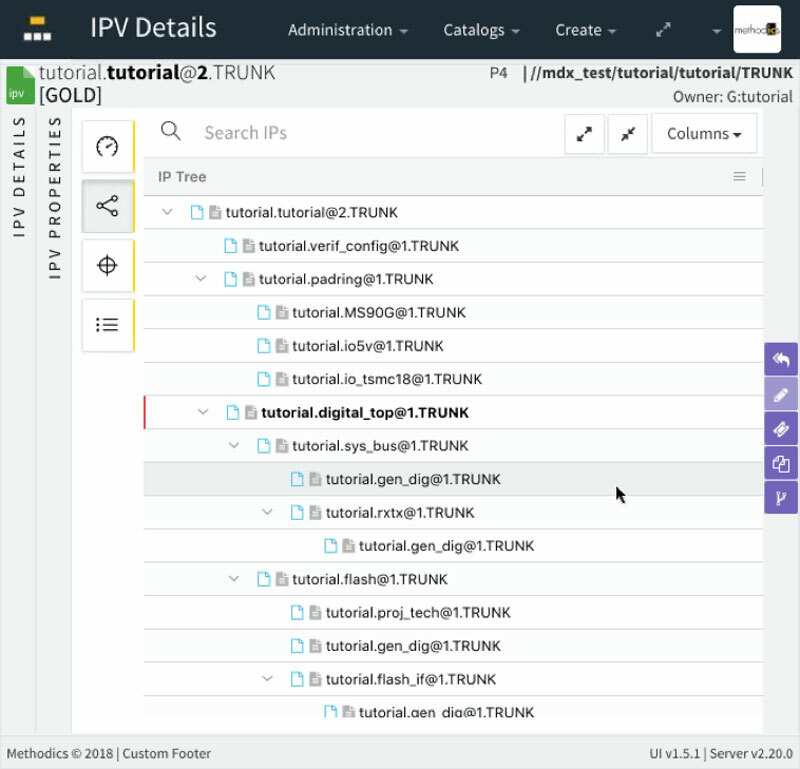 Advanced IP distribution, cataloging, and workspace management ensure that no matter where designers are located, they have full visibility into the IP available to them and can easily access the corresponding data. Methodics' clients for analog and digital designers integrate natively with Helix Core, making DM seamless to users. This ensures that data is safe and available everywhere you need it. The combination of Percipient and Helix Core provides a comprehensive IP Lifecycle Management (IPLM) platform. Teams have complete control over the design and integration of both internal and external design elements, including libraries, new analog and digital designs, and standalone IPs. Percipient integration with Helix Core supports advanced tracking and management across multiple projects, multiple sites, and multiple generations of the IP’s evolution and streamlining collaboration. This gives teams complete visibility into the state and usage of IP from the moment it enters the system until an SoC is delivered. Percipient manages the complex file relationships found in semiconductor designs. Perforce handles the large binary files and millions of files that are common in EDA tools. It brings robust, federated multi-site data management with complete disaster recovery capabilities. Helix Core and VersIC deliver a comprehensive, united, and reliable design data management experience. VersIC integrates with Helix Core from within the Cadence Virtuoso environment. With Helix Core and VersIC, a truly collaborative design environment across global design locations is possible. 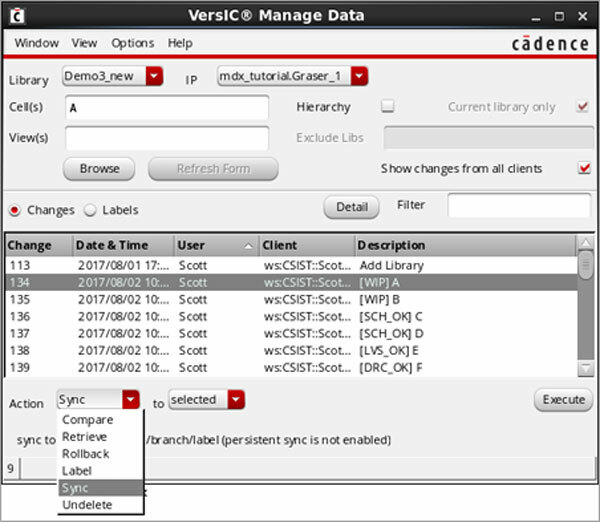 Cadence libraries, Verilog, Ocean scripts, software, docs, and other design assets can be controlled, managed, versioned, and released via one platform. 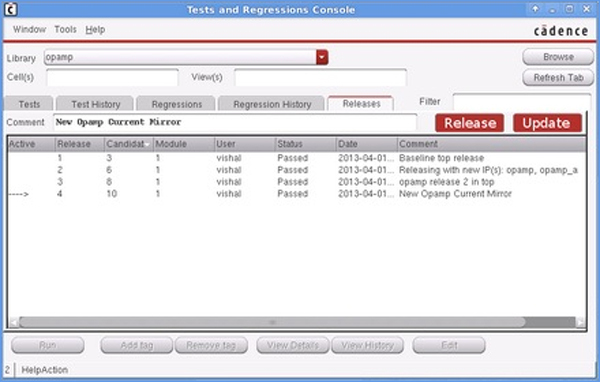 Helix Core is a high-performance version control system (VCS). It supports global teams with storage, access, and management of design assets for analog, digital, infrastructure, and software development. Global development teams benefit from Helix Core’s ability to securely manage all digital content — even large files — in a single repository. With a robust caching and replication architecture, access for engineers and designers is seamless and instantaneous — no matter where they are in the world. Git is enormously popular, and software developers like its familiar interface. Git is designed to control text files, not the binary files that are part of your SoC designs. Because Git lets users keep files on their individual workstations, it’s not great for companies concerned with compliance and security. Plus, traceability of changes is not perfect. Perforce has a solution that solves the Git conundrum – Helix4Git. Helix4Git is the industry's only enterprise Git solution, and it rounds out your DM solution for software teams. Helix4Git is an add-on for Helix Core. It provides management of Git repos. Even better, it’s easy to implement without changing your existing toolset. It can be added to any Git environment to improve performance and seamlessly scale to support growing, global Git teams. Now you can use Helix Core, Helix4Git, and Percipient as a seamless DM solution. This provides a single source of truth for your whole project. With this combination, each individual IP in a design can be saved in a either Helix Core or Helix4Git. Each user can have a workspace with the parts of the design that they are permissioned to access. Now all your SOC data can be managed from a single view. This increases reuse and decreases friction. Users simply query Percipient to find the new versions of any IP that they need. It’s a secure, performant, global single source of truth. Helix TeamHub lets software developers using Git seamlessly collaborate with engineers on SoC projects. It’s an optional add-on for Helix4Git that provides code hosting and collaboration, with self-service project administration and integration with enterprise AD/LDAP. It works just like GitHub or Bitbucket, but with one important advantage. It’s self-hosted in your own private cloud or in a data center – providing better security for your code. In addition to serving the needs of internal software teams, it is an ideal way for external software teams (e.g., contractors or consultants) to be part of your DM infrastructure — while controlling and securing their access to your assets. Questions About Perforce and Methodics Integrations? All you have to do is ask. Contact us for more details on how Perforce integrates with Methodics for IP lifecycle management and more efficient, predictable, higher-quality designs.